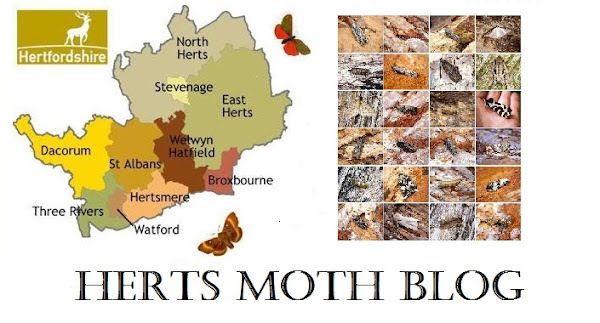 September continued well here with moths still turning up in fairly good numbers for my garden at least, the warm weather finally ended but we were still left with fairly settled weather and with a few periods of much needed rain. Garden species count for 2018 now upto 503. Frosted Orange - 21/08/18 - (Missed from previous posts) Nearly annual here, but just the one record per year, such a gorgeous moth. Rosy Rustic - 25/08/18 - (Missed from previous posts) Another beauty that I somehow missed off my list, never that common here, 1 or 2 a year. Acleris sparsana - 10/09/18 - An annual visitor to the traps, but like most species this time of year it never turns up in great numbers. Pink-barred Sallow - 10/09/18 - A scarce Sallow species here with just 3 garden records, nice to see and one that i've trapped commonly amongst damp and marshy habitats. Barred Sallow - 11/09/18 - A common moth in my garden, the pictured specimen was the most striking for the year. Black Rustic - 11/09/18 - Another regular moth here and for most people, some years I get 4 or 5 in one night, this year was no different. Treble-bar - 15/09/18 - Two examples (both checked for Lesser, which has yet to be recorded here) were found on back to back nights. A sporadic visitor to the garden trap. Chestnut - 16/09/18 - An earlyish season first of Chestnut was found in the trap on this date. Subsequently it's had a good year here in the garden during Autumn. Eudonia angustea - 16/09/18 - Stupidly uncommon here despite finding it nearly every morning to works security light, this is only my 3rd record for the garden since 2012.